Your jaw, also known as your temporomandibular joint, or TMJ, has to be one of the hardest working parts of your body. Every time you open your mouth to speak, eat, yawn, or laugh, you should thank your jaw joint. 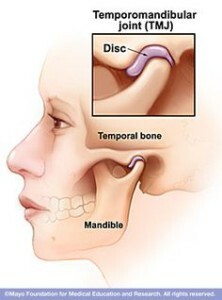 Most people don’t think much about their humble jaw joints until, you guessed it, something goes wrong. If something seems to have gone wrong with yours, you may need to seek TMD treatment in Maryville, TN. Dr. Kim Norman can help. TMD problems won’t just go away on their own. The cause has to be addressed and the symptoms treated. One of the major causes of TMD is nighttime bruxism, also called teeth grinding. You may have other signs of bruxism, such as teeth that have been worn down and possibly even cracked by the nightly action of teeth grinding. A bed partner may also notice the sound. You may also have sore jaw muscles. Worn tooth enamel and heightened sensitivity are other signs of bruxism. Dr. Kim Norman offers TMD Treatment in Maryville, TN, in the form of splint or mouthguard therapy. We can evaluate your TMD and determine if you can benefit from this treatment. In addition, Dr. Norman can also restore any teeth that have been damaged by this condition. Why wait? Call today to learn more about tmd. Let us help relieve the pain and damage caused by tmd with bruxism nightguards. Schedule and appointment online.